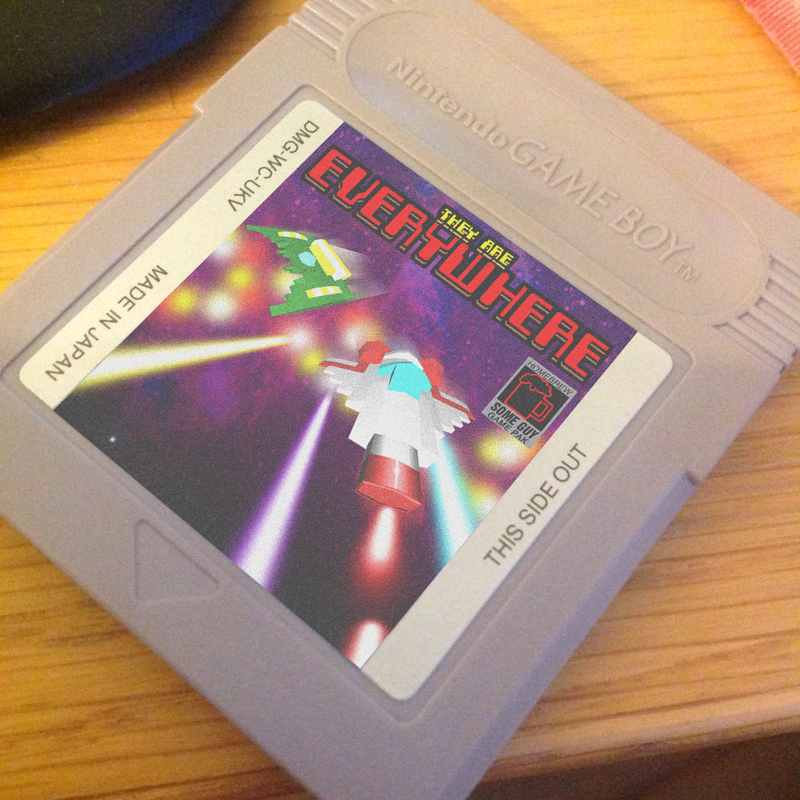 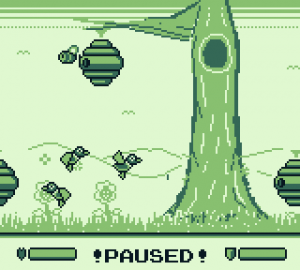 Right, the Ludum Dare website seems to be in a bit of a usability pickle for me so I’ve uploaded the source code and Gameboy ROM here just in-case things have gone wrong somewhere, also, Pictures! 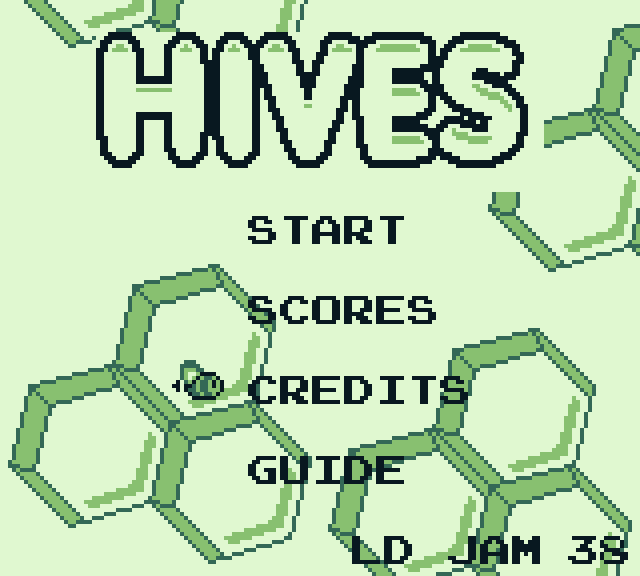 In Hives you take on the role of a bee who has been tasked to defend 3 hives in this side scrolling shooter. 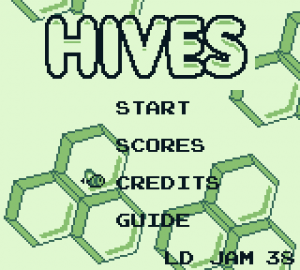 Defend you hives from predators including wasps, bees and spiders, intent on destroy your hives with every contact they make. 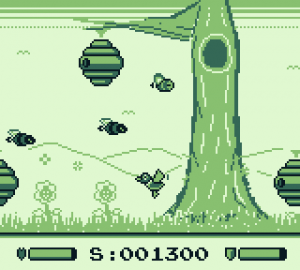 Take them down with your Atomic Stinger fast to prevent further damage and repair hives with your personal shield. Run into an enemy? No worries, another drone will soon be dispatched. 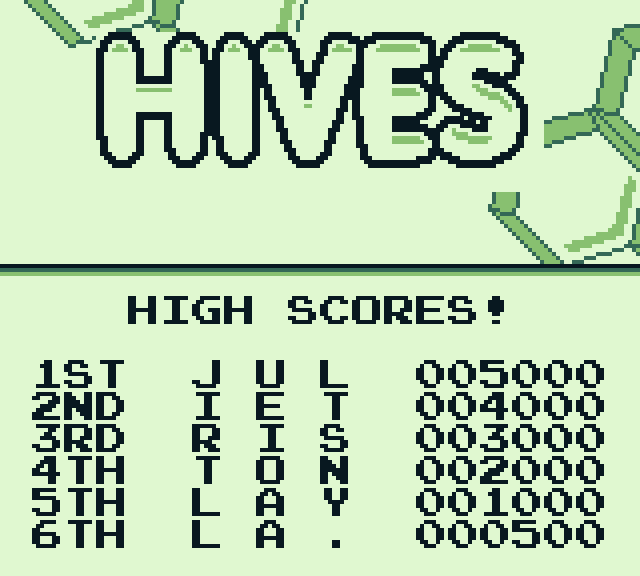 Record your progress on the high score board and hey, if you’re too shattered after Ludum Dare to even play the game, wait 10 seconds on the title screen for a quick demo.